Christa McAuliffe Elementary is named in honor of Sharon Christa McAuliffe. She was born in 1948 and grew up in Massachusetts where she became a teacher, a mother of two, and was selected by NASA to be the first teacher in space. Our school mascot is the Challenger, which was the name of the space shuttle that she flew on with six others. Access staff email addresses and visit classroom websites. View and compare our school's WASL results, student demographics, and teacher information. From the first log cabin school in Redmond in 1875 to the official formation of Lake Washington School District in 1944 and on to today. This brief history of the district, published in 2005, traces the growth of education in this area. Includes the history of each school building. Share your talents, gain experience and inspire a child. Learn how public schools are funded and how your tax dollars are used. 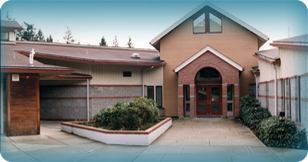 Schools and district facilities are available for community meetings and activities. Generous individuals or groups such as PTSA, ASB, school staff, parents, or local community groups sometimes want to help schools with a community project, such as landscaping, new playground equipment or new signs. Review the guidelines for community projects to ensure project success. Where community support impacts public education. View McAuliffe's 2018-19 CIP goals. The knowledge, skills, and attributes that every student needs to be Future Ready.